As the world’s biggest owner of fossil fuel companies, BlackRock is biggest driver of climate destruction on the planet today. They are the number one investor in new coal plant production, one of the largest investors in oil and gas, and the top US investor in companies destroying the world’s rainforests. 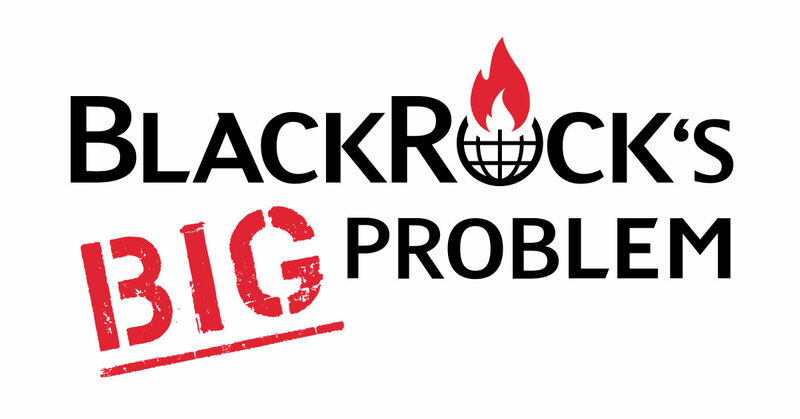 BlackRock is also a top shareholder of many of the big banks that fund the development of new dirty fuels and pipelines. It’s clear that BlackRock has a big climate problem, but they also have a big opportunity to fix it. BlackRock CEO Larry Fink says he wants to be a climate leader and has been vocal about the need for greater corporate social responsibility. Right now, that's mostly talk -- but if enough of us raise our voices, BlackRock will have to square its actions with its leader’s words. It’s time for BlackRock to put their money and power where their mouth is. Send a message now to CEO Larry Fink to be a true leader and stop investing in climate destruction! BlackRock should divest from polluting companies that refuse to change their practices, promote fossil-free and deforestation-free investment funds, push companies they own to align with the Paris Agreement, and escalate pressure on laggards through transparent shareholder engagement. BlackRock is the largest investor in companies that are driving the climate crisis. BlackRock is the number one investor in new coal plant production, one of the largest investors in oil and gas, and the top US investor in companies destroying the world’s rainforests. BlackRock is also a top shareholder of many of the big banks that finance the development of new dirty fuels and pipelines. Rather than using that as an opportunity to push for strong climate action, BlackRock has let most of these companies off the hook and has increased its investments in climate destruction. BlackRock lags behind some of its peers by refusing to divest or vote against the directors of the worst polluters, by voting against shareholder proposals for climate action, and by offering no transparency into its own shareholder engagement practices. A recent report showed that in the past year of shareholder actions, BlackRock voted with the corporate management at dirty energy companies 98 percent of the time, supported only 23 percent of climate-related proposals, and supported no political influence disclosure proposals at all. BlackRock has a big climate problem, but they also have a big opportunity to fix it and help drive massive changes to protect the climate. As Larry Fink said: “Every company must not only deliver financial performance, but also show how it makes a positive contribution to society.” That should be true for BlackRock, along with the companies that you invest in. I hope you recognize your enormous and unique responsibility to drive change, and I urge you to take bold action now to help protect our climate and our communities.